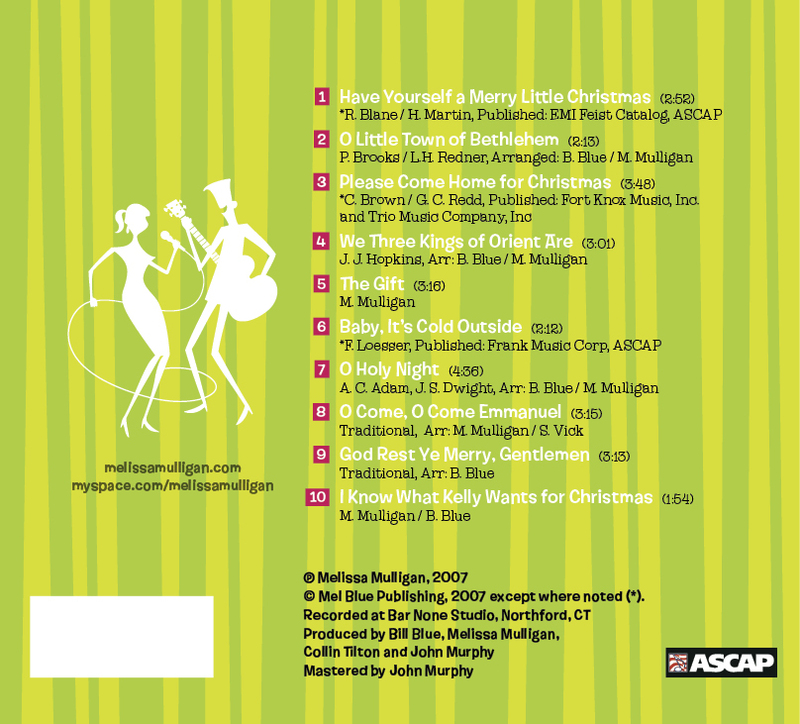 Booklet, jewel case, and disc design for holiday CD. 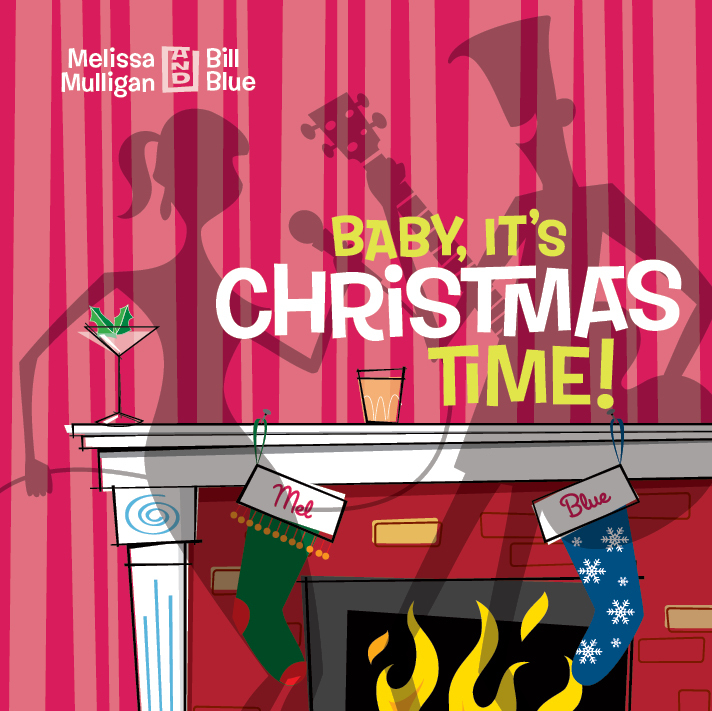 The Design Challenge: When musicians Melissa Mulligan and Bill Blue approached me to design the package for a special holiday CD release, they had a clear idea of what they wanted the tone and feel of the CD to be. The style and arrangements they’d chosen for the songs on the disc had a retro, Dean Martin-era feel and they wanted that reflected in the look of the disc itself. The Solution: Using a loose illustrative style and retro typography from House Industries, the final package has a cocktails-by-the-fireside theme. To work around the lack of photographs of the artists and studio contributors, all of the musicians were represented with stockings on the cover and the inside spread of the booklet. Rather than the more traditional Christmas reds and greens, I opted for magenta and chartreuse as the dominant color scheme. The male and female shadow figures (customized versions of House Industries’ Shag Illustrations) were repeated on both the disc surface and jewel case back cover (below). The Technical Details: You can see how the whole project was put together in a video tutorial from The InDesigner podcast.